Welcome to Glover’s Trust almshouses. 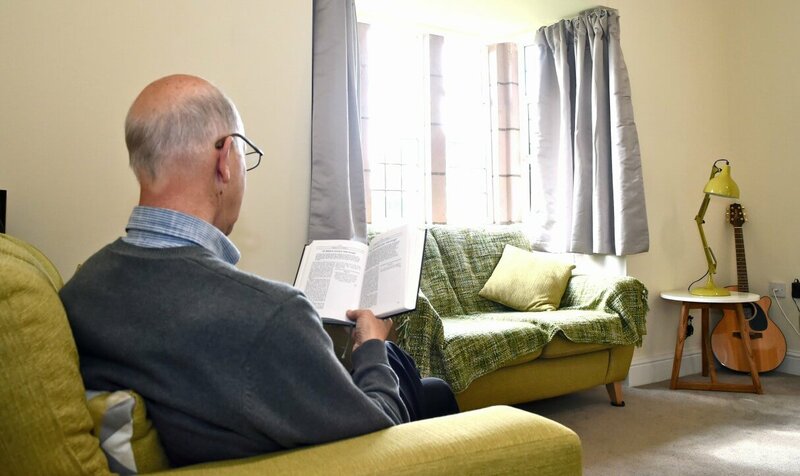 We provide attractive and affordable sheltered housing for the over 60s. Here you can have the advantages of a supportive, social community along with the enjoyment and privacy of your own accommodation, where you can come and go as you please. Please apply now for a cottage we currently have available or to join our waiting list. 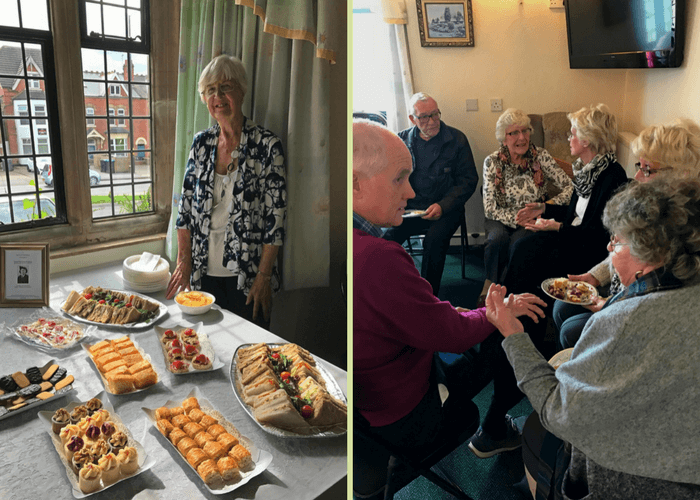 For the past 85 years, the close community of cottages at Glover’s has formed an oasis of tranquillity at its secluded spot off Chester Road in Sutton Coldfield. Look through the entrance gates of the front building to discover how it opens out with terraces of homes facing landscaped lawns for residents to enjoy. 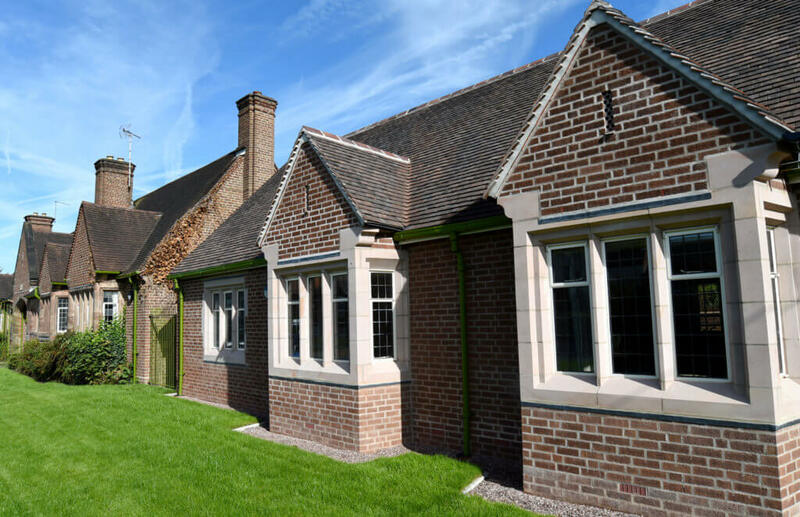 The cottages were built in 1932 in the Arts and Crafts architectural style inspired by the countryside. They have been lived in and cared for ever since. A very recent refurbishment programme has updated and improved them further, while keeping their special historic character. 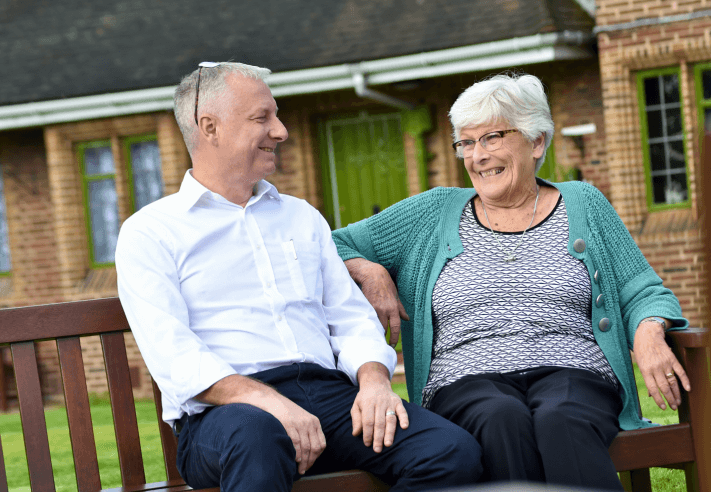 Interested in living at Glover's Trust? Please apply now or to join our waiting list. These double-occupancy cottages are suitable for a couple, as they have a larger bedroom and living area. The charge is £114 per week. These single-occupancy cottages are suitable for one person. The charge is £109 per week. Interested in applying to live in Glover’s Trust accommodation? I was so pleased when I was offered a cottage here. It's so cosy, warm and private. My neighbours are great - we like to chat in the gardens in the summer. Glover's is such a pretty site. I like to sit out in the shared gardens in the summer to do my cross-stitch. It's also very close to bus and train routes. 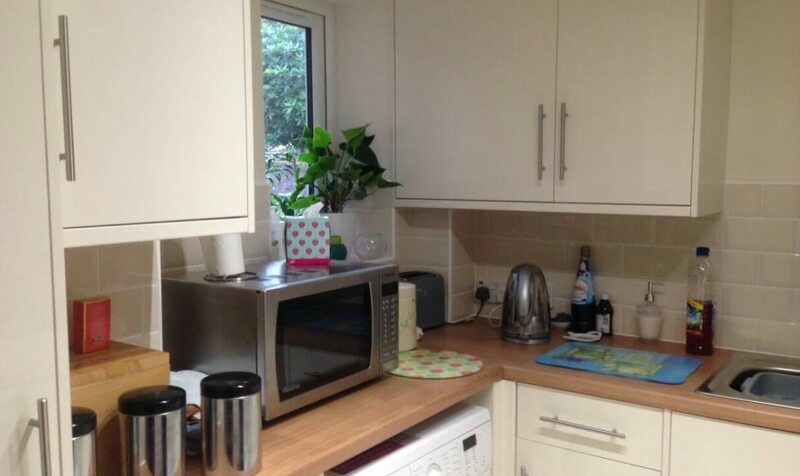 We particularly like our new kitchen and the level-access shower room. There are some new flower beds at the back of the cottage, so I'm hoping to plant some hydrangea and strawberry plants. 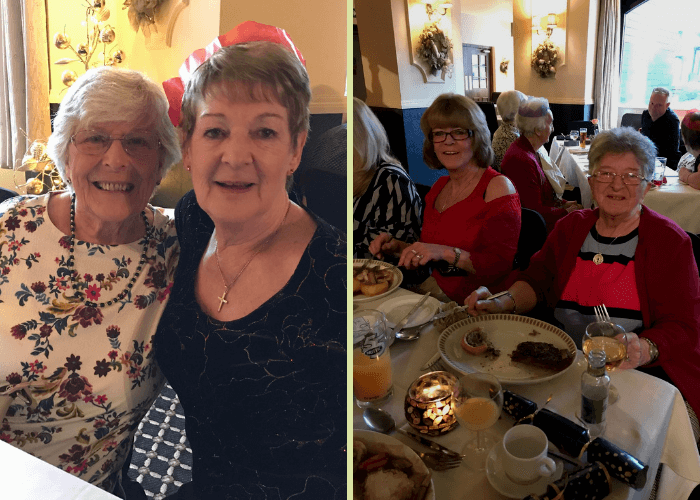 I was made very welcome from the start and have always found it a friendly place, where I can get on with everyone. It’s a welcoming, safe haven. Nobody bothers me... but everyone is my friend. Moving here is the best thing that’s happened to me in the winter of my life. 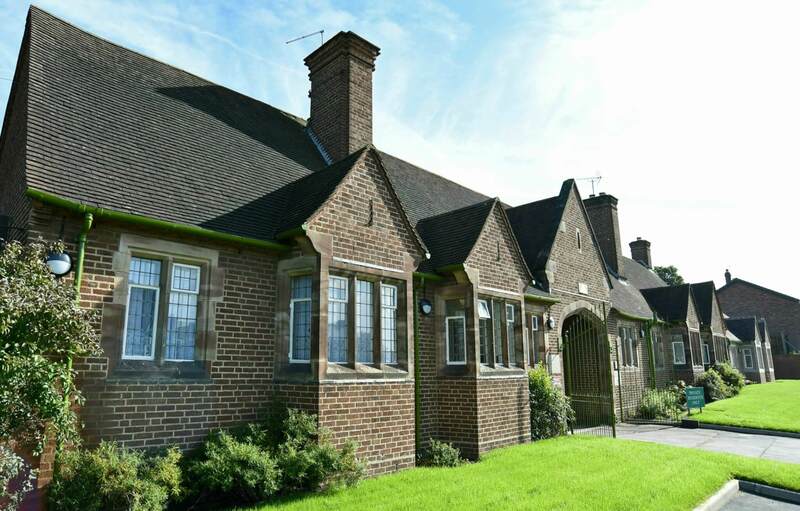 Glover's Trust is a registered charity providing historic almshouses for older people in need of affordable housing.